Create A New Tradition – Happy New Year Cake! Many people celebrate the New Year by observing certain traditions. Some eat twelve grapes at midnight on New Year’s Eve for good luck. Others eat hoppin’ john and greens to bring luck and prosperity over the coming year. And many cultures have traditional Happy New Year Cake that they eat each year. Introduce this fun idea of a New Year Cake — it’ll quickly become a new tradition! Even if a specific type of cake isn’t part of your New Year’s tradition, a sweet treat is always welcome at a celebration. Making a festive New Year’s cake for your guests doesn’t have to be difficult. Here are some cake ideas that are sure to be a hit. Chinese New Year Cake, made with glutinous rice flour called Nian Gao, is traditionally consumed during Chinese New Year. But it makes a nice dish for the Gregorian calendar New Year as well. The traditional recipe is rather complicated and must be steamed, but there is a baked version as well. Rosh Hashanah, the Jewish New Year, is celebrated with a number of traditional foods. One of these is apples dipped in honey, which represents the hope of a sweet upcoming year. Another way you could incorporate apples into your New Year celebration is with a fresh apple cake. You can find plenty of recipes to choose from online. This delicious and easy-to-make Vasilopita cake is served by the Greeks at New Year, during which they also celebrate the life of Saint Basil. A coin (which may be wrapped in foil) is baked into the cake, and the person who finds it in his piece is supposed to have good luck all year. What could be more festive than a cake that looks like it has been sprinkled with confetti? You can add colored sprinkles to yellow or white cake mix just before pouring into the pan. Be careful to mix them in gently and quickly, and to bake immediately – otherwise the colors will bleed into the batter. Add liberal amounts of sprinkles to the frosting, top with decorative sprays, and you have a fun and yummy cake for your New Year celebration. 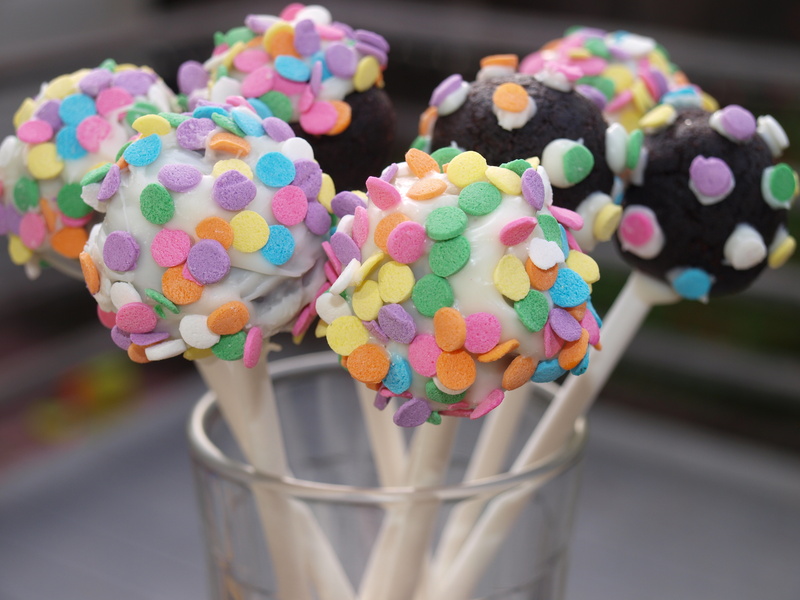 You could also try making confetti cake pops! Fruit cake is a perennial holiday favorite, and it makes a delicious treat for your New Year’s party. If you want some variety, add a couple of different kinds of nuts and some chocolate chips. A delicious Happy New Year Cake makes a wonderful accompaniment to the New Year’s toast. It also makes a nice gift for those who won’t be ringing in the New Year with you. Whether it’s a culturally traditional dessert or just one of your favorite recipes, a cake can help make the holiday that much sweeter. Yum! These look delicious! Especially the ones with sprinkles! Thats a great idea! We try to do fun things with the kids and this is definitely something I could see us doing!